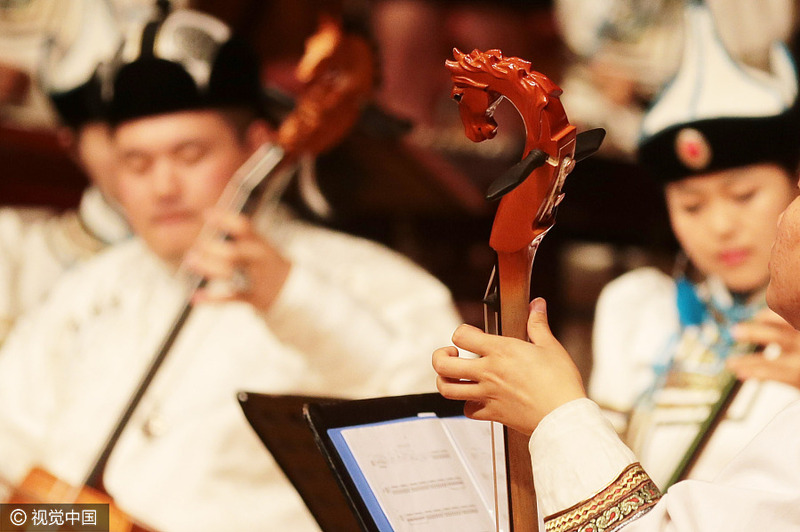 Below are four genres of Inner Mongolian music, from which listeners can find the beauty of prairie and nomadic life. Mongolians are able to mimic the sounds of waterfalls, winds and the cries of animals by simultaneously making two sounds up to six octaves in difference. This way of singing is what they call throat-singing or Hoomii. The method of singing Hoomii, in Mongolian, is called "chor". Interestingly, "chorus" in English, "chord" in French, and "chor" in German, all refer to the same thing: multi-part singing. The Mongolian "chor" is multi-part singing, sung by one person at a time. Hoomii, in Mongolian, also means larynx, and with more than 800 years of history and three different genres –the overtone, quaver and complex–Hoomii is an outstanding vocal mimicry. The basic structure of Hoomii consists of a continuous bass and a musical treble. To sing Hoomii, a person needs to use their vocal cords, nose and oral cavities, and even the thorax to vibrate the current of air to flow between the three.